Dr Anthony trained for general practice on the local vocational scheme and joined the partnership in 1987. He has been a GP trainer since 1999. Qualified in 1982 at the London Medical College. GP training scheme in Plymouth. I have worked in Harlow since 1986 and joined the Old Harlow partnership in October 2003. I have been a GP Trainer since October 2005. 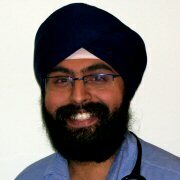 Dr Aneja trained at Guy's and St Thomas' Hospital. Following this, his GP training was conducted at the local vocational training scheme and he subsequently qualified as a GP in August 2007. He has been a GP Trainer since January 2011. Dr Phen trained at St Barts and The Royal London School of Medicine and Dentistry and qualified in 2005. He trained in General Practice on the Harlow Scheme completing his training at the Old Harlow Health Centre in 2015. Dr Parkinson trained at the Royal Free and University College Medical School, London, qualifying in 2009. 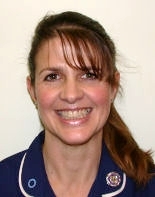 She trained in General Practice locally, including at Old Harlow Health Centre, and joined as a Partner in September 2018. Qualified 1982 Basildon & Thurrock Health Authority. RGN, Family Planning trained. Joined Jenner House Jan 2003. Family Planning Cert, Asthma Diploma, Certificate in Diabetes Care. The practice nurses are available by appointment Monday to Friday. David Joined Jenner House in July 2005 previously managed the Riverside Medical Centre in Hullbridge located in the South-East of Essex for over 3 years. Previous employments included operations management within a mobile telecoms supplier and management of MOD facilities. The practice business manager is here to ensure the smooth running of the practice. If you have any suggestions for improvements to the services we offer please do not hesitate to contact him. You are encouraged to comment on any matter relating to the practice and the services we offer. We employ a range of staff who provide valuable support to the practice in maintaining a high standard of patient services. Our secretaries provide general secretarial support to the practice, including arranging hospital referral appointments and liaison between the hospital consultant and your doctor. Administrative staff includes filing room supervisor, receptionists, prescription clerk and clerical officers. Our receptionists are fully trained and are here to help you obtain the best possible service from the practice. In order to do this, they sometimes need to judge the urgency of your request and may need to ask you a few questions. The rules of confidentiality apply to all practice staff. A brief explanation of your problem may enable them to suggest the right person for advice, or offer the most suitable appointment. Please help them to help you. Our midwives form the Banwell Team and hold clinics on a Wednesday afternoon at the surgery. In conjunction with your doctor they provide antenatal care. The midwives and the health visitors hold 'preparation for parenthood' classes. Urgent midwifery advice may be obtained by telephoning Princess Alexandra Hospital Harlow (01279) 444455 (ext 7103 during office hours or ask for maternity bleep holder out of hours). The health visitors are employed by the South Essex Partnership Trust and are based at Keats House, Bush Fair. The Health Visitors are responsible for monitoring the health and development of all pre-school children. Baby Clinics are held on a Thursday at the ABC Centre near the Surgery. The Health Visitors are happy to offer any advice and may be contacted on Harlow (01279) 698685.